Why choose Mothershed Design Company? As business owners ourselves, we understand on a personal and professional level what it takes to run a successful business. We love working with small to medium-sized businesses to achieve their goals through strategic design and branding. 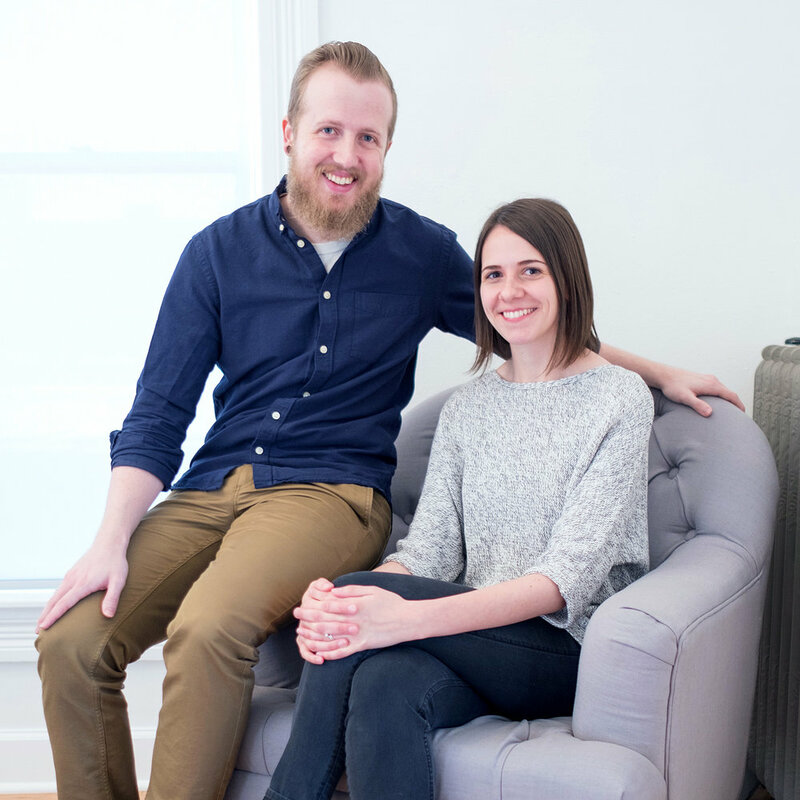 Josiah and Meg are experienced designers who combine their skills, expertise, and passion for design to provide an incredible client experience. As an independent husband-wife team, you will be working one-on-one with Josiah and Meg through every stage of the project. We pride ourselves in being able to communicate directly and effectively with our clients—from setting up meetings, to designing brand solutions, you deserve our full attention. What is the client’s involvement? Client involvement is essential to our process in order to achieve the best, most accurate design solutions possible. Through working together, we discover what your design needs are and how to best execute them. Why follow the three-step process? In order to best serve our clients, it is extremely important to follow the three steps of Discovery, Design, and Delivery to achieve creative clarity. The Discovery phase includes meetings, phone calls, and conversations to discover more about you, your business, overall goals, and design needs. This phase creates the foundation for the Design and Delivery phases. If the Discovery phase is not incorporated into a project, there lacks an understanding of the client, their business, and how to best serve their needs. At Mothershed Design Company, we believe that the three steps are the ultimate process to ensuring a successful project. What do Brand Discovery Workshops include? For specifically branding projects, the Discovery phase includes two, three-hour interactive workshops with Mothershed Design Company and the client. Through these workshops, we will help you determine or reexamine your company's positioning, brand values, target audience, and competition in order to fully define or redefine your brand. We perform a complete brand audit and provide you with a valuable resource document outlining everything we discovered. Whether you are a start-up or an existing company, the Discovery phase is crucial to your brand. Each project is different; the timeline per project may vary depending on the client and their specific design needs. A timeline will be established through working directly with the client. How is the price of a project determined? To determine a price quote, we take into consideration our clients design needs, their budget, the value of our experience and expertise, and industry standards. We are always happy to work with our clients to achieve satisfactory agreements. Payment for the Brand Discovery Workshops are due at the beginning of the phase. Payment for all other steps and individual elements of the project is broken down into a 50% deposit, with the remainder to be paid upon the project’s completion. This policy ensures that all parties are equally invested and committed to the project. Yes! If you are an existing client or become one, we would love to work with you on a retainer basis to provide regular design services for you and your business. Please contact us to learn more. Find out if we're a good fit!